Hithere, recently a posted this card featuring a little sunflower I made using what I term "the mist & scrunch technique". 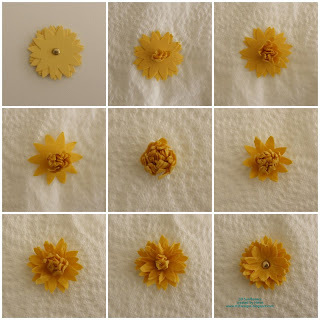 I've made some more sunflowers now & have put together a tute for you on how I created them. Set your flower aside to dry or give it a blast with a "no heat" hair dryer. Now it's ready to add to your project!